Argent is a clean, modern portfolio theme geared towards creative professionals like designers, artists, and photographers. With its simple homepage template featuring portfolio projects, Argent aims to draw viewers to what matters most: your wonderful work. The responsive layout allows for a seamless user experience and ensures your portfolio looks stunning no matter the device or screen size. By default, Argent’s homepage will display your latest posts in a traditional blog format. 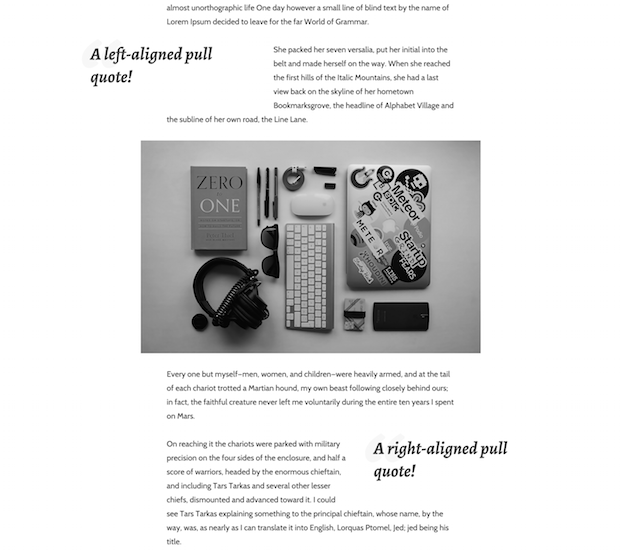 Argent’s Front Page Template displays the content of the page you’ve created and set as the Static Front Page. Also, it can optionally display a portfolio section below the content as well. Visit wordpress.com/customize and select the site you’re working on, if prompted. Open the Theme Options section. Check “Show Portfolio Section” (you will see a No Projects Found” message if you have not added any portfolio projects yet). By default, this section will display no title above the projects. You can add a title by adding text in the Portfolio Section Title field. To add a Custom Header Image, visit wordpress.com/customize, open the Custom Header section, add an image, and save your changes. The portion of the image that is displayed will vary depending on the size of the screen it is being viewed on. Argent’s background can be set by visiting wordpress.com/customize and opening the Colors & Backgrounds section. Argent takes advantage of the Portfolio feature on WordPress.com. To add a project, go to My Site → Portfolio → Add. Create a new Portfolio project or edit an existing project. Insert an image gallery from the editor. The position of a gallery inside the project doesn’t matter; the first gallery will always be displayed in a carousel directly below the project title. If desired, continue adding content to your project — you can add more images, pull quotes, videos, etc. Be sure to add a featured image to your project. Although it won’t be displayed on a single project page, it’s used on the home page and portfolio archives page (explained below). Your projects will be displayed on the Portfolio archive page in a grid layout. This page can be added to a Custom Menu as a Link item. 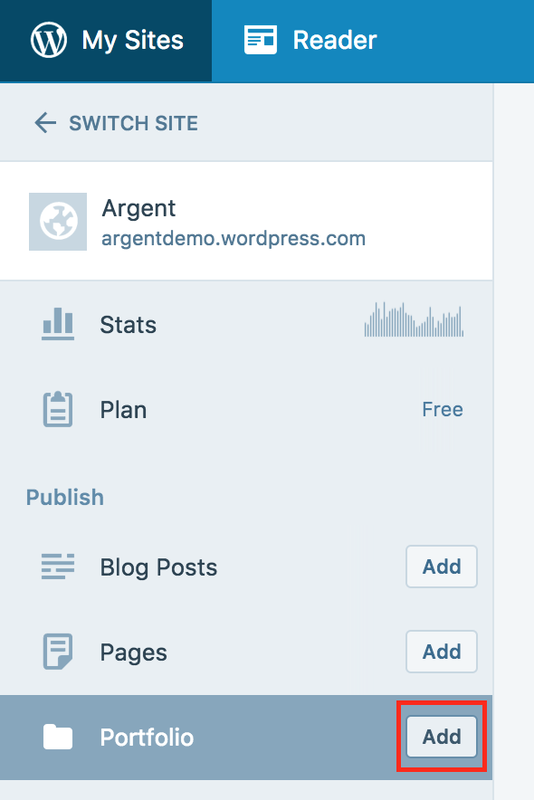 Argent includes one Custom Menu in the header, which can be configured by visiting wordpress.com/customize and opening the Menus section. 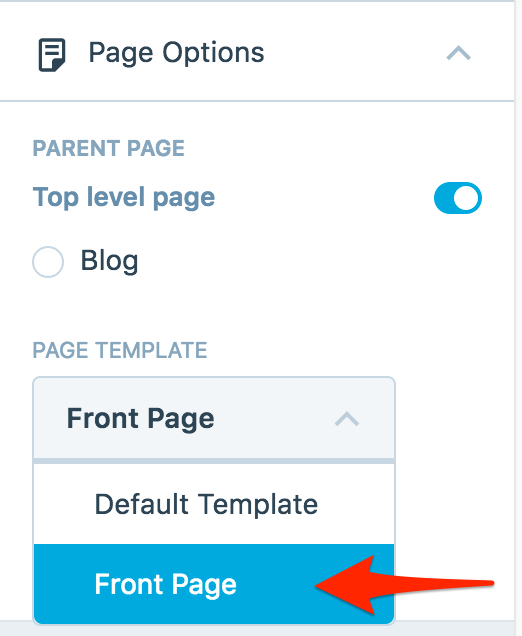 If no custom menu is assigned, this area will display a list of your pages. Argent includes 3 footer widget areas. You can add widgets to the footer by visiting wordpress.com/customize, opening the Widgets section, adding widgets, and saving your changes. Pull quotes are a great way to draw readers to your writing. For pages and portfolio projects, the pull quote overhangs from the main column to maintain the readability of the text wrapping around it. All you need to do is to add a class of alignleft, alignright, or aligncenter to a blockquote element and view your site on a large screen. Images that are wider than 780px also overhang the column. Show off your images without being restricted by the column width! The main column width is 660, except in single posts, where it’s 490. A widget in the Footer Widget Area is 300. Featured Images for posts should be at least 660 wide.